Your Gadget Gift Guide this Mother’s Day!! So Mother’s day is around the corner and knowing what to give Mom can sometimes be a struggle, but not anymore with our Gadget gift guide, that does not have to be a problem anymore. This mother’s day makes life easier for Mother with these cool gadgets. If your Mother is already one of those gadget geeks, these gifts will surely be of interest to her but if not then you need not worry, this mother’s day transform your Mother into a gadget lover with the things on our list. Sometimes picking out the most needed one can be a tough job. As the day looms closer ahead, it is an all-out rush to try and give the mother a unique gift that we know she would love. Giving something beautiful to Mothers on mother day is important, and that is why we have compiled a gadget gift guide for you. So brush away the tension sweat and get to reading this gadget gift guide for a hassle-free mother’s day. You may be wondering what’s so cool about a hairdryer; my mom already has one. This product is not an ordinary hairdryer; the Dyson Supersonic Iron Red Hairdryer uses the laws of fluid dynamics while drying off your mother’s hair. The hairdryer measures the air 20 times a second and regulates the heat the hairdryer gives out so as not to damage your hair. Using Fluid dynamics, the Dyson Hairdryer prevents the problem of hairdryers blocking up when they come too close to curtains or any other fabric for that matter. With this hairdryer given as a gift, Mother will never have to worry about getting her hair burnt while drying her hair after the shower. Plus Mother will get that hot red case to go with the hairdryer helping her in all her packing woes. 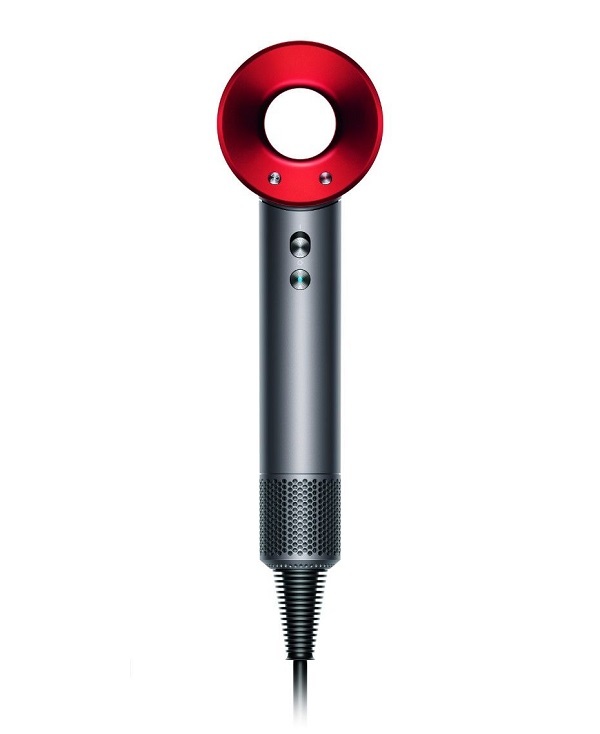 This cool hairdryer is one for the gadget gift guide and is available at just $549. Is your mother the OCD cleaning type? Then look no further, this gadget gift guide has got a gadget up its sleeve that is for you. The Ecovas Deebot Ozmo is a vacuum without any human intervention. The days of pulling and pushing a vacuum cleaner are gone. Now, it is the time to bring out those vacuums that you never have to bother about it. And charge them and send them out for a round of the house and then when their battery dies all you have to do is charge them up and send them out again. 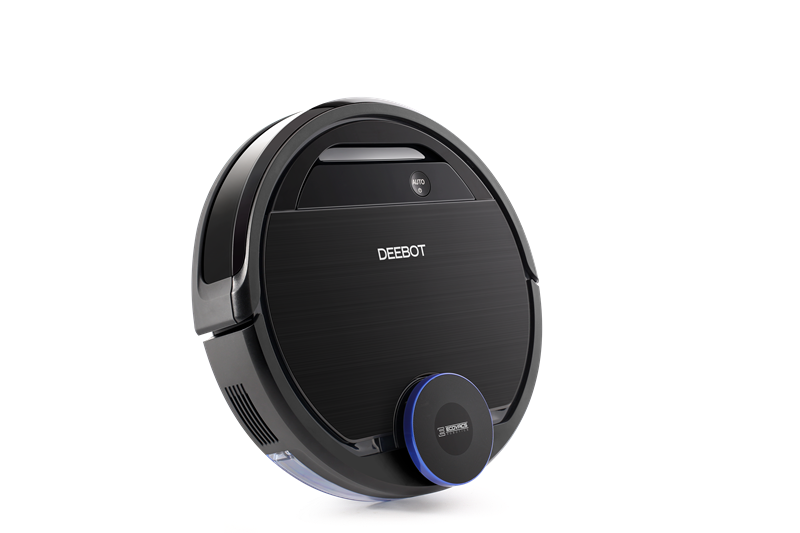 The Deebot Ozmo 930 comes with an app so you can monitor the places where the vacuum has been. You can regulate it where it goes, so that it does not get into the shower where, a heads up- it wouldn’t do too well, and you might also want to avoid those irritating wire filled areas too. So maybe a little human intervention is required but then again not much after all this is a mother’s day gadget gift guide and who gives a cleaning device right? But this gadget gift is one that is going to save Mother a lot of trouble and you too if your Mother is the OCD type and did I mention this gadget gift guide idea costs just $1299 if you look at it as a lifetime investment it is an excellent buy for Mother. 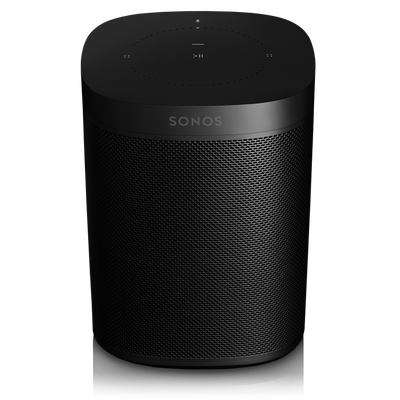 Another idea on the gadget gift guide is to gift your Mother the Sonos One. Nowadays everyone and anyone needs a smart speaker and who more than a tired out mom needs it more? Sonos has been a brand that has been here for ages, and it has recently updated its tiniest speaker to go along with Alexa. So this mother’s day takes the cue from the gadget gift guide and gifts your Mother the Sonos One so that now she can unwind and has more time to herself with the help of the trusty Alexa. She can tell the smart speaker to not only play music but also to make a- to-do list, check the weather, put on and off switches maybe even ask Alexa to tell a joke. If you have other Sonos speakers in your home, you can even use the Sonos One and integrate it with the rest of the Sonos family in your house. Your Mother can carry on listening to that favorite song of her’s as she walks into different rooms in the house doing her work. Buying the Sonos one is like taking a safe bet, and it only costs $299. If you have a working Mother, then this bag is for you everybody could do with this bag even Mothers who need a much needed- break away from the fam. The Crumpler Cabin Matte has a compression system that allows you to stuff more things into every inch of the bag and ladies out there you know how important this is right? What is even cooler with this bag is that it comes in matte black which makes your mom look suave and cool traveling with it. The only downside with this roll- on is that weighs in by itself 3.3 kg, and that is half of your allowed carry on weight out the airplane window- if you know what I mean. This bag will cost you around $349. 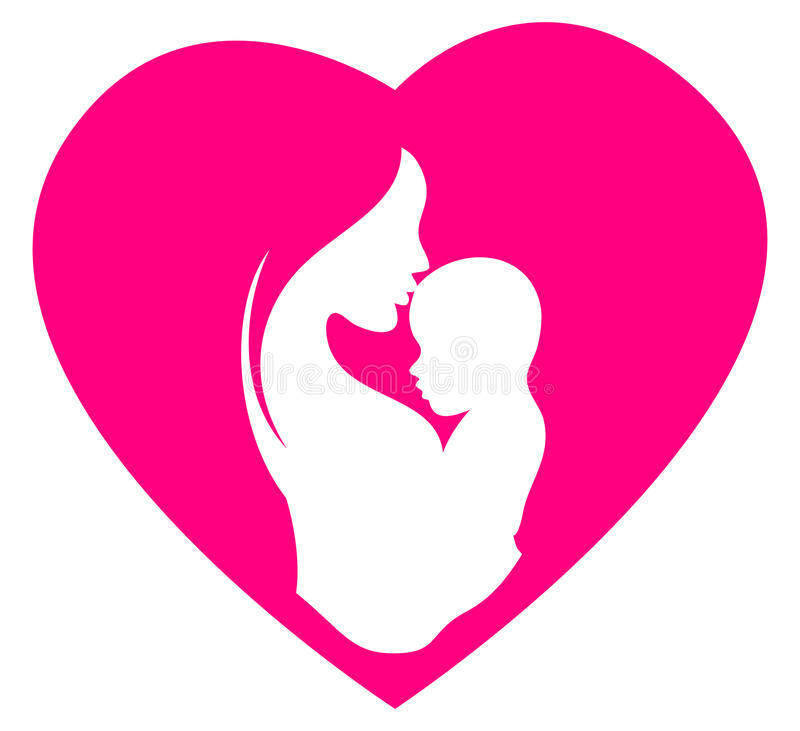 This mother’s day treat your Mom a gift she will remember and don’t forget this gadget gift guide is always there at your disposal. The gift ideas on this gadget gift guide may appear a little on the steep side, but for Mother, nothing you do in return is ever enough right? Whether it is a hairdryer or vacuum cleaner or a travel bag or even a card, I’m sure she will always cherish a gadget gift given by you to your Mother. Philips SmartSleep was recently launched at the CES held in Las Vegas, the company claims to give you a better night’s sleep without needing to put in any extra hours of dosing. You will reportedly get up feeling more alert, refreshed and rejuvenated. What is Philips SmartSleep about? 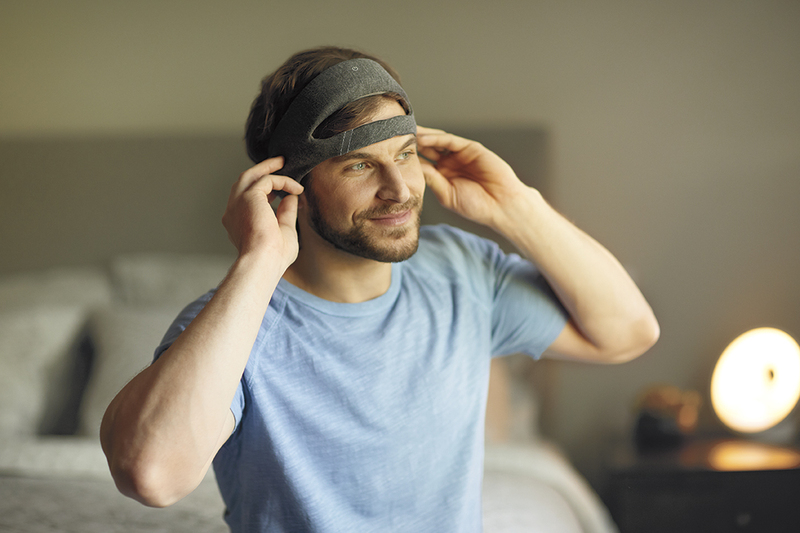 Philips SmartSleep is a foam-like headband that is supposed to give you a relaxing night’s sleep. This gadget plays soft soothing sounds to help you get that good night’s sleep. It is said that while playing these relaxing tones from the Philips SmartSleep you can get more energy from your sleep. Besides recording the quality of your sleep on to an app that connect to the Philips SmartSleep, that you can check in the morning, the Philips SmartSleep kicks into motion once you enter a “slow wave sleep”, which is basically a sleep stage where your breathing slows as well as your heart rate with relaxed muscles. For those who don’t get sleep easy, reaching this stage itself might be difficult and in that case how much good this product will do is anyone’s guess. How does the Philips SmartSleep really know when you’ve reached that stage of sleep? The answer is simple there is a lot of complex algorithms involved in the Philips SmartSleep. These algorithms were made in close partnership with various neurologists and doctors. The Philips SmartSleep has sensors in it that helps detect when a person is in the said stage of sleep. The customized tones are then played when a person is in this stage of sleep, with the tones playing through an integrated speaker, the tones are played at a volume and their timing is all customized to make this stage of sleep more relaxing and lasting while using the Philips SmartSleep. Philips says that they have tested this product on people who don’t really get enough sleep because of their hectic lifestyles and they go on to say that about 70% of this test population found that they got a feeling of being less tired when using the Philips SmartSleep. The target market is seemingly those who don’t get enough sleep, not those who have a difficulty in sleeping in the first place. The test subjects were shown to be more alert, having a higher level of energy and who had a better quality of sleep overall. As to how many were exactly tested, there is no clear indication. Philips also goes on to say that the Philips SmartSleep is clinically proven and is the first sleeping wearable that is come out. In the last few years we have seen a number of smart speakers hitting the market with Amazon’s Alexa being one of the best that was out there. Now the LG ThinQ gadget is LG’s response to the smart speaker market due to be released at the Consumer electronics trade fair coming up soon. 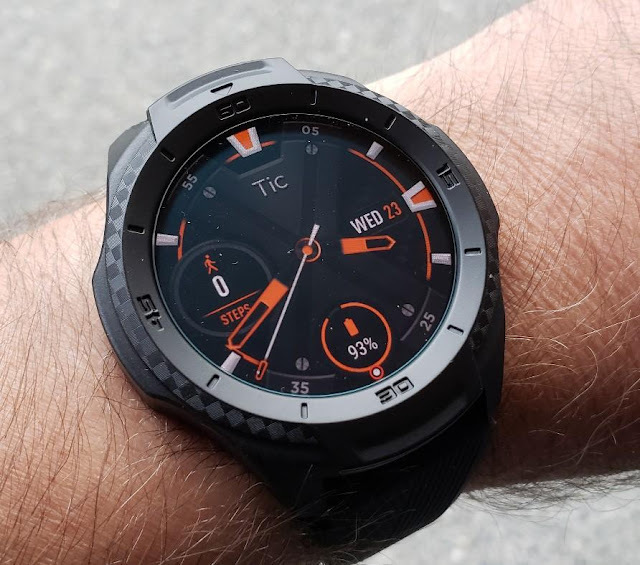 Other than the norm that is having an assistant attached to the gadget that answers to your every need and fancy LG’s ThinQ boasts of doing much more. As of now there is not much by way of price or specifications. The company plans on making a full reveal of the gadget at the Consumer Electronics Trade show. What does the LG ThinQ Gadget do? Besides the obvious voice control feature that is there in all smart speakers, this gadget also seems to work as a premium speaker as well with a premium audio experience and support for lossless high resolution audio courtesy of Meridian audio technology. With Meridian audio technology this LG gadget promises to put out more natural and warm music. The gadget has the Google assistant on it and can be used to control all of LG’s smart gadgets under the ThinQ banner like their smart dishwashers, dryers, refrigerators, vaccumcleaners lineup. The smart devices can also be controlled through a voice app from LG. 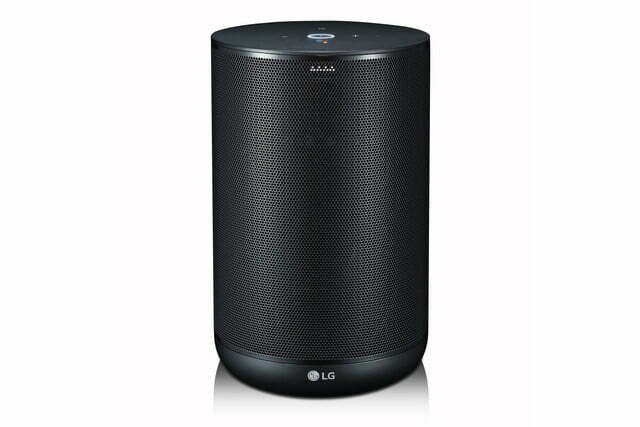 The LG gadget also supports a number of voices so that all of the house hold members can use the LG ThinQ. With all the smart speakers out there like the Amazon Echo, Google’s home lineup or to be released Apple’s HomePod and without much info on the specs and pricing of the LG gadget, it is unclear as to how this gadget is going to fair in the market place. The LG gadget comes as part of a number of AI gadgets that LG plans on releasing in the current year. Future LG devices may also be supported for Voice control. LG also teased about a new fun and portable PK speaker that can be carried anywhere and give high res audio due to the Apt-X HD bluetooth standard. The PK speaker can stream 24 bit music with original sounding audio. LG also plans on releasing a party speaker that has karaoke, DJ capabilities and 1800 max output along with releasing a soundbar at the CES expo. The SK10Y soundbar is a 5.1.2 channel support gadget with Chromecast support, lossless audio, Dolby Atmos processing and meridian high elevation standard to put the sound at the level of the TV. More about these gadgets will be known at the consumer electronics expo to be held in Las Vegas on Jan 9th of this year. We all know that Lenovo is a renowned name when it comes to the laptop market and now with the ThinkVision X24 it proves that it does not do too bad when it comes to ultra- high display monitors too. Combining design and productivity, this monitor is not one to miss for those gaming enthusiasts and those who want a sleek professional looking monitor at their disposal. Bagging in 3 Consumer Electronics Show awards since its release, the Lenovo ThinkVision X24 is a seek 24 inch 7.5mm thin screen that provides crystal clear display and high performance. The Lenovo ThinkVision X24 is a 24 inch 7.5 mm sleek monitor that will look professional and high end anywhere. Coming in only 2.9 kgs without the stand and 3.9 kgs with it, the monitor is totally lightweight and packed with the latest that technology has to offer when it comes to monitors. The Lenovo ThinkVision X24 comes with a chrome rod podium which is attached to a tilting feature at the back of the monitor. This rod is connected to a 22mm round base. The monitor is also designed in such a way so as to give an elegant and neat look when it comes to handling those pesky wires in the back. The Lenovo ThinkVision X24 has two input slots one for HDMI and the other for a DisplayPort. The Lenovo ThinkVision X24 monitor can be used for watching your favorite shows on as you can connect it to a set-top box, it is also flexible when it comes to gaming on it. As for gaming the full HD resolution and the angle that the monitor is in allows for a great experience for avid gamers. The rear of the Lenovo ThinkVision X24 comes with next generation neo blade 23.8 inch panel which replaces the traditional rear cover. The ThinkVision X24 monitor comes with a neo blade IPS panel which gives excellent display quality by supporting a 16.7 million color range. The response time of the imaging is 7ms. One complaint you may find with this monitor is that it gives off a whitish glow when displaying dark material on the screen. This is what is termed as an IPS Glow and is seemingly very common when it comes to IPS paneled monitors. 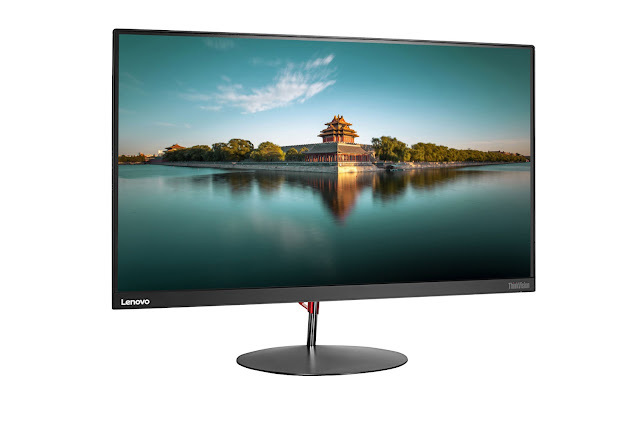 The Lenovo ThinkVision X24 supports 3840 by 2160 pixels at its DisplayPort. It can also support all the standard 3D formats. The HDMI port can also support a 4K display but at a fraction of the refresh rate as the DisplayPort which is at 60Hz. The screen of the Lenovo ThinkVision X24 monitor is anti- glare and having anti- glare busting characteristics. That being said the Lenovo ThinkVision X24 monitor does not get annoying reflections or does not even get scratched easily. The sleek and minimalistic look of the Lenovo ThinkVision X24 packed to the brim with the latest in technology offers a good value for money purchase that any individual would not be disappointed to see. 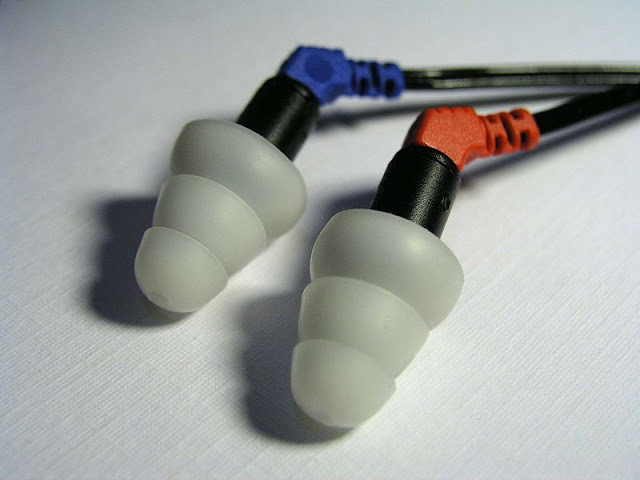 For in-ear headphones, there is always talk of dynamic drivers and balanced armature drivers. Today we deal with the topic and show the differences. If the in-ear listener sits properly in the ear canal and thus "closes" well, the space between the eardrum and the membrane is closed and very small. The whole thing then works like a kind of spring system (or "push-pull mechanism") and the membrane can move the eardrum well with little deflection and little energy, ensuant in a very good bass upshot. As soon as there is a leak in this system, this is immediately noticeable by the fact that low frequencies are lost (as is the case with ear buttons). This is because the human ear is less sensitive to low frequencies (below about 150 Hz) than to higher frequencies. So if we want to hear low frequencies better then a lot of energy has to be applied to amplify them. When using loudspeakers, low frequencies are still physically noticeable. This is not the case with headphones. Also, speaker diaphragms are larger and more stable (thicker material), which allows much more air to be set in motion than headphones. In order to be able to make the best possible use of the low energy that the headphone system develops, care must be taken to ensure that the headphones or in-ear headphones are optimally terminated. Ok! Which driver was used certainly determines how well the in-ear headphones sound. In the development of the drivers most of the money usually flows in the production of in-ear headphones. Balanced Armature Drivers (BA) are often used only in in-ear headphones in the higher price segment. Balanced armature drivers are made to sound particularly good in a certain frequency range, such as: As the heights, which is why in-ear headphones with Balanced Armature drivers often several drivers installed. For example, the Sony XBA 3 iP incorporates 3 Balanced Armature drivers, which ensure that the entire sound spectrum is covered. Dynamic drivers in in-ear headphones make it possible for in-ear headphones to be offered at a good price. Unlike Balanced Armature drivers, only one driver covers the entire sound spectrum. They work on the same principle as loudspeaker boxes. In some in-ear headphones both types of drivers are worn, such. B. the Sony XBA H3. The advantage of having multiple types of drivers is that the bass and treble sound great, but the case is usually larger and they weigh more. Moving Armature drivers are new drivers that combine the benefits of Balanced Armature drivers and dynamic drivers. Moving Armature drivers work like Balanced Armature drivers but have the advantage that the entire frequency range is covered in contrast to Balanced Armature drivers where multiple drivers are needed, the Moving Armature driver in-ear headphones only need a driver. However, very few models use this type of driver so far and they are also quite expensive. The classic and most commonly encountered headphone driver is - as with speakers - the electrodynamic principle assign. However, in order to map the entire frequency spectrum as accurately as possible, partially modified drivers are used, such as the Variomotion technology from AGK (depending on the frequency position, a larger or smaller part of the diaphragm swings) or the ring driver of the Sennheiser HD800. Photonics will have a direct impact on many areas of our daily life. Soon photonics will be fundamental, both for the improvement or replacement of existing processes and for the development of new solutions and new products. On the other hand, society demands products with better and better features: new functionalities and improved properties, lightweight, flexible photonic devices, and capable of adapting to different materials and surfaces. Likewise, these developments must be competitive and not increase the price of the final product. A team of MIT Associate professor Juejin Hu from the University of Central florida, China and France has developed a new method of making light based photonic devices. 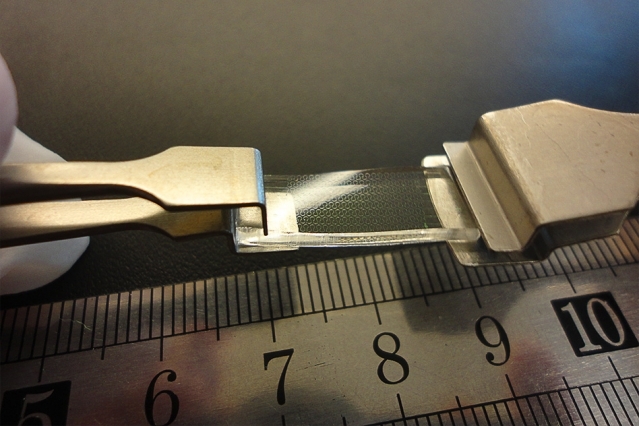 These special flexible photonic devices is made from a kind of glass called Chalcogenide. This specialized kind of glass material has a great flexible property which can be bend and strech to the very large extent without any damage. These flexible photonic devices can be used in field of biomedical sensors and flexible connectors in Electronics. How about a device that can simultaneously detect blood oxygen level, heart rate and blood pressure? Yes, these flexible photonic devices of optical technology which are made from the strechy and bendable material can be mounted in skin to monitor the condition. By using these kinds of new light based flexible photonic devices, we can stave off the condition for the conversion process. Because, if the original data is light based is having the advantages for a lot of applications. The current photonic devices applied in the field are made up of rigid materials on rigid matters thus rises an intrinsic counterpart. The polymer based softmaterials is having a less refractive index tracks to not so good ability to circumscribe a light beam. To confront this issue, the team of MIT researchers have developed a stiff material that can stretch and bend which is almost like a Rubber. Its confuguration is like a spring made from a polymer matter has no noticeable abjection in its optical performance. Other flexible photonic devices that are made by implanting nanorods of a rigid substrates in a polymer base need extra developmental steps. And hence they are not congruous with current systems. These flexible photonic devices can also be used for applications where the devices require to adapt to the rippled surfaces of some other material. But optics technology is extremely sensitive to strain, thus can observe deformations of lower than one hundredth of one percent. This team recently has formulated a way of segregating layers of photonics, made of chalcogenide and graphene with customary semiconductor photonic electronic equipment. Current method of segregating such material need them to be made on a surface and then take off and tranfern to a semiconductor thin layer. This process is very difficult. But the new procedure permits the layers to be fancied directly on the surface of a semiconductor. This process no need a special temperature condition for the entire process and thus allows very simplified fabrication and more punctilious coalition. This team of MIT researchers have confirmed very soon they develop this new technology of flexible photonic devices to reach commercially. There are a range of high security cameras out there, this one is a little different in monitoring your house. Cherry home made by Cherry labs, a startup company is the latest in AI technology. Besides this gadget being the eyes in your house it also senses your every movement and the layout of the room that it is in. The cherry home cam can even identify you wherever you are in your home. The Cherry home sensors are able to detect your eye color, proportions of your body and even hair color. This gadget can do all this and more with its processor and sensors. This gadget can also sense your laugh, scream and squeals and analyses them to see whether there is any danger. The info is then passed onto to an app that can be installed on any smartphone. The cherry home cam can also dial 911 in case of an emergency. With the latest in AI technology, this gadget is able to triangulate the room it is in and give real time data to an app on your smartphone. 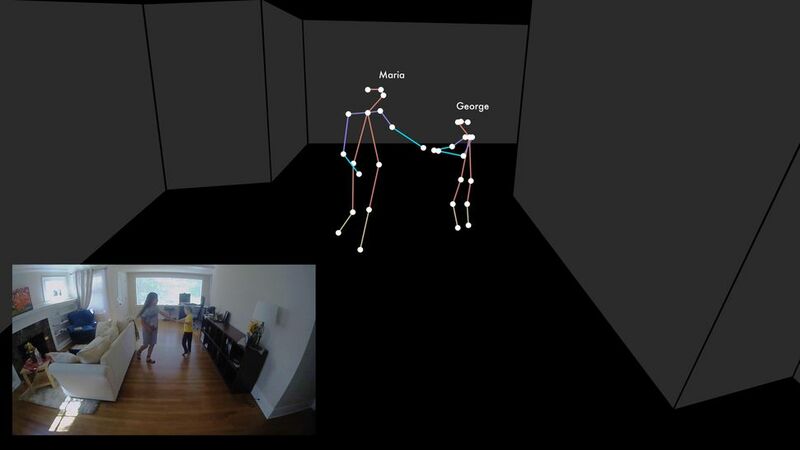 So an individual can see all that is happening in the room that they are monitoring. The gadget also notifies you in case there is an incident such as a person falling down. It is able to discern an individual’s laughter and scream when they are in danger. Right now the Cherry home cam can do all these things but the startup company has also promised more in the future. According to the company, the Cherry cam will be able to sync in with your smart home and turn on lights when you need them. Another feature of cherry cam that is in the pipeline could be a breakthrough in what a security cam can do. The Cherry labs is reportedly in talks with pharmaceutical companies in trying to get the Cherry cam to identify when a person is in the process of getting a stroke and then to dial 911 or emergency services. The gadget is packed with a binocular camera, infrared sensor for night time monitoring, an altimeter, a compass and an accelerometer. So how does this thing actually work? The cam sends data to a central processor with a high end PC to analyze all the data. It connects to other cameras in the house through a mesh WiFi network. It only connects to the cloud when it needs to transfer data to an app on your smartphone. This Gadget also comes with a coin sized battery that is recharged by the processor cherry cam houses. There are also two batteries that are spares in the camera. Now for the most important question at what price can a consumer get the incredible Cherry cam? The prices of the Cherry cam are not so conducive to buying them. 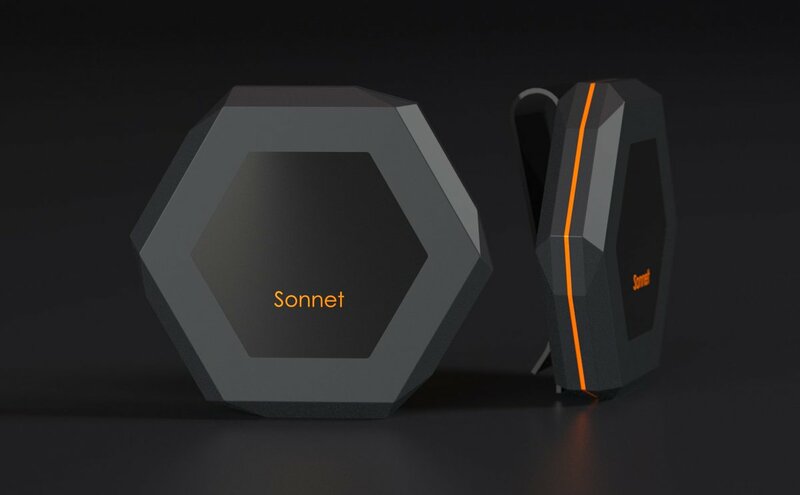 A starter pack is available for 900$, a camera in this range would include 2 sensors and a processor while a pack of 4 sensors would cost you 1200$. New forms of its Echo smart speaker with the possibility of improved sound and voice recognition has been announced by Amazon. Moreover, the simple model also enables in changing its shell and provides it with different looks which is a feature offered already by the opponent Home gadget of Google. A bigger Echo Plus enhanced by a `home hub’ enables it in controlling smart light bulbs together with third party products minus a separate data-linking gadget. The Echo Spot tends to have a screen which makes the video calls as wells camera feed promising. Sales figures for the earlier Echo line-up had not been released by Amazon, however researchers have recommended it. Its smaller sibling, the Echo Dot has been the best-selling device. The Echo family is said to account for around 75% of the US market with regards to internet-linked speakers together with built-in smart assistant functionality that has been estimated earlier this month by Consumer Intelligence Research Partners. Till date it has been suggested that around 15 million devices have been sold. The latest Echo smart speaker is said to be smaller than its predecessor and has the advantage from a keen bass tweeter. The Echo smart speaker comes with the option of six swappable shells with various materials and gadget is priced at £90/$100/100 euros which it around 40% cheaper than the earlier version and challenging the £129 Google Home gadget. The Echo Plus compatible with the Zigbee smart home protocol is priced at £140/$150/150 euros while the Echo Spot having a screen size of 2.5-inch together with a built-in camera is priced at $130. The same will be launched in December in the US though has not provided a release date elsewhere. Blake Kozak from the HIS Technology consultancy had commented that Amazon has been the first agent in this market and hence had the benefit over some of those who had entered the same space. He further added that it was incredibly important for them to do a refresh, wherein the original Echo came out in 2014 and the hardware had not been updated ever since, though the software as well as the back-end services had been enhanced incessantly. Most of the latest systems tend to feature Alexa assistant of Amazon and would not be seen as a risk. Thereafter several more premium systems had been announced with higher quality speakers and hence Amazon needed to be seen to contest the competition. This brought in the Echo smart speaker in the market. The likelihood of a new version of the Google Home when search firm tends to host an event on 4 October. Besides the Echo smart speaker, Amazon has also made an announcement of the gadget, Echo Buttons – small Bluetooth based buzzers, at its Seattle event which could be utilised for playing games on its speakers, inclusive of an upcoming version of Trivial Pursuit. Moreover it has also publicized the Echo Connect which is a gadget that tends to link to a landline turning its speakers into speakerphones. It has also announced an arrangement of bringing Alexa to some of the BMW’S cars inclusive of its Mini brand. 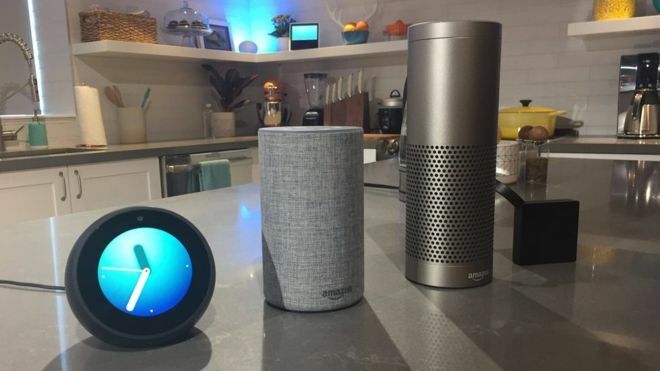 Geoff Blaber from the tech consultancy CCS Insight had stated that Amazon tends to have the momentum in the smart speaker and voice assistant area. This announcement had been developed to deepen its role in daily lives and this tends to raise the bar considerably for Apple and Google. Amazon seems to be functioning exceptionally hard in exploiting on the success of its smart assistant hardware and that he is concerned this new line-up seems to be complex and the most knowledgeable consumers would be perplexed as to what feature they would be expecting for their money. The option is said to be immense with Echo, Echo Plus, Dot, Look, Spot, Fire TV, Fire TV Stick together with the Dash Wand. With the Echo smart speaker, Amazon has the opportunity to do for home automation what Apple had done for smartphones. The consumer electronics manufacturers as well as tech firms are working aggressively to build such device which better capabilities and fewer cables when it comes to putting music in the ear. So we got a slew of wireless or Bluetooth headphones coming up each week from variety of labels in amazing range of colors, size and dynamics. 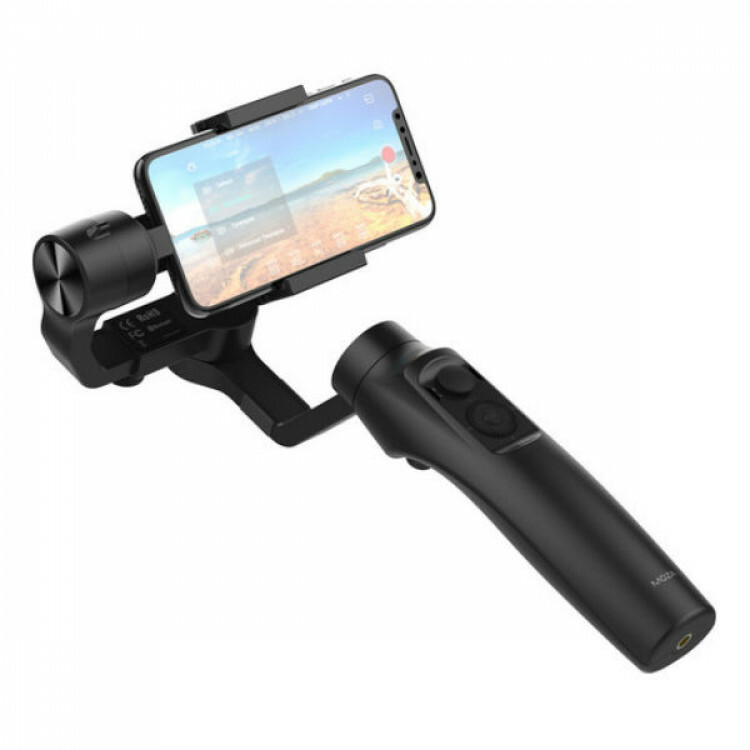 All of them share some characteristic feature which includes better sound quality, compact design and smaller batteries which can last longer. But it is Beats which takes all the competition head on with its most authentic and enhanced Powerbeats3 Wireless earphones. 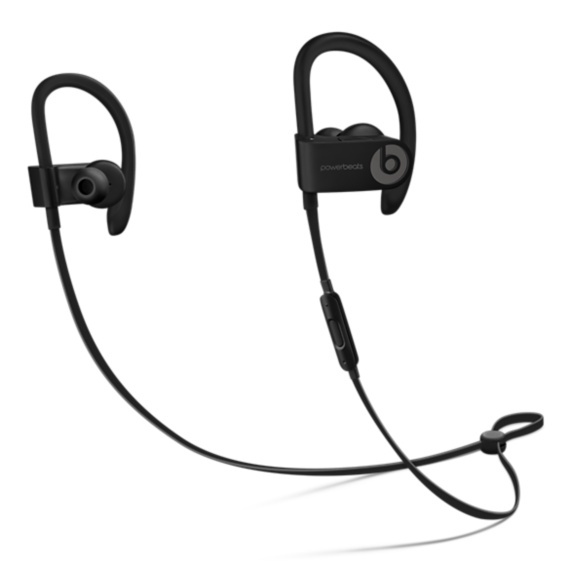 Powerbeats3 comes with a unique giant adjustable hooks present at both sides which effectively wraps over the ear. This helps in giving a table and comfortable feel to the users. In short users can wear Powerbeats3 wireless headphone for a longer period of time without feeling pain or heaviness on the ears. Secondly Beats has worked efficiently non the inline remote and microphones present in both the buds which are able to pick up calls and can communicate with smartphone’s AI with ease and grace. Most of the users find it difficult to pair their wireless headphones with Apple devices. In order to overcome this issue Beats has include the W1 chip which allows users to pair with Apple devices in an instant without much hassle. It has a huge battery backup of 12 hours which means users will have to charge just once or twice a week. Beats products are known for bigs and lows and so is true for Powerbeats3 and it doesn’t mean that the sound output is awful rather it has the Beats touch in it. The best thing about Powerbeats3 is that it can be paired fairly easily than any other available wireless device. Users are simply required to press the button on earphone and keep it closer to the device they wish to pair it with. Powerbeats3 was paired with a huge a number of devices where it acted like an instinct and connected within a relatively short time without any hassles. The play/ pause button works amazingly fine with this wireless earphone as it is able to pick up input without fail. Sound quality output is the best part of the Powerbeat3 as it offers a refreshingly awesome and sublime experience. It brings the one-of a kind true sound isolation feature which drown all the sound you in a remarkable fashion. The only downside found in this Powerbeats3 wireless gadget is that it charges with MicroUSB when whole the world has moved onto USB-C and Lightning ports. Powerbeats3 comes at a huge price tag of $199 which is the case with all the offerings from Beats. If you are willing to shell such an amount then you will be greeted with amazingly sound quality, sublime design or else you can go with other offerings available in the market. The Oneplus 3T is the new name of the Smartphone released by the Company Oneplus. This new product has currently been launched and currently been put for sales in US, UK and Europe. This Chinese smartphone manufacturer has been famous to give an killer specs in an flagship mobiles especially in an affordable price. 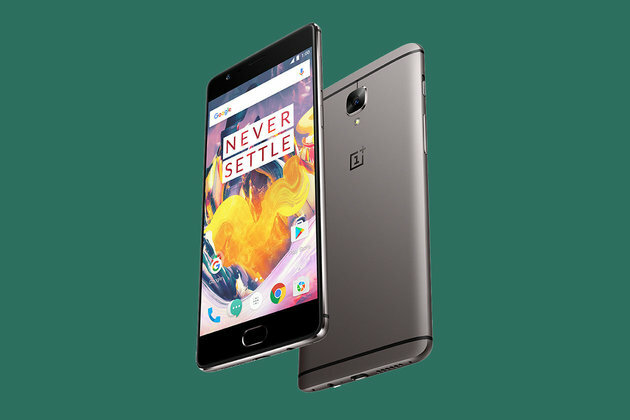 This company’s previous product was the Oneplus 3 which made the people go crazy for its specs. The new Oneplus 3T features the same design of its previous sibling the Oneplus 3T. The Oneplus 3T is fully made up of full metal but yet it weighs light in hand. This has an slightly curved back and nice curved round edges and very thin which makes is nice to hold in hands easy to carry. The new flagship phone now features a new color variant that is the new Gun metal color replacing the old silver color and the phone also comes in Gold variant as well. The Gun metal color comes in 64gb and 128gb storage options whereas the gold comes in 64gb storage. The design of the phone may be the same but we can guess that there might be an improvement in the hardware and software processing and acceleration. The Oneplus 3T features the same 5.5 inch AMOLED display with a 1080p resolution as on the previous Oneplus 3. This device features a dual polarizing layer which makes us to view and use the phone in the brightest Daylight. When you buy an good and a premium Smartphone there must be certain safety measures take to protect your device. One of them is the screen protector in this case the Oneplus 3T ships with an pre installed gorilla glass 4 screen protector which is an very welcomed addition. The new Oneplus 3T has an updated snapdragon 821 processor clocked up to 2.35GHZ which boosts the phone for a faster proceeding speeds and greater efficiency compared to old Oneplus 3 and compared to the Oneplus 3 the new 3Ts battery consumption is so efficient. The new phone consists of an 6GB LPDDR4 ram which helps the device to perform faster. The Oneplus 3T has been updated with an 3400 mAh battery compared to the Oneplus 3 which features an 3000 mAh battery. The battery has been increased by 13% without an increase in weight in the device. The phone is shipped with Dash Charger which helps to get the phones battery back to full charge in less time. The Dash charger contains the extra heat from charging your device and this prevents its way to the device. This makes it easy to use the Device when its still connected to the charger.